A What Kind of Cloud? 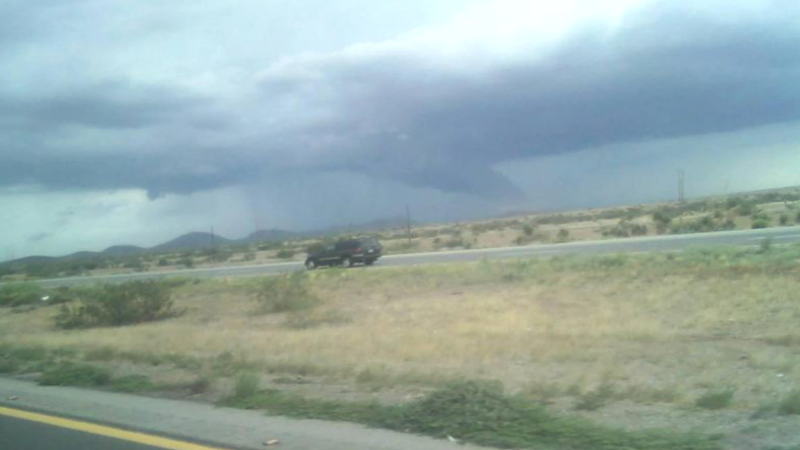 A big shout out to Amie Montes who captured an interesting cloud photo taken today near Willcox. Here is the photo, and at first glance it certainly looks like it could be a funnel cloud. Okay here’s the scoop. Without seeing video we don’t know if the cloud is rotating. Looking back at our Doppler radar from earlier today, there was no indication of rotation in any of our afternoon storms. So the question is, what kind of cloud is this? The answer: a Beaver Tail Cloud. Beaver Tail Clouds form in the boundaries between a thunderstorm’s updraft and downdraft. In the storms downdraft, the heavier rain-cooled air descends and spreads out laterally. At the same time, warm, moist air is being lifted. As this warmer air becomes saturated it undergoes condensation and becomes visible in the shape of the ‘Beaver Tail’. The Beaver Tail Cloud can become a much larger Shelf Cloud if there is enough low-level moisture.